This fresh salad reminds me so much of the local deli where I grew up in Australia. It was a Sunday tradition in my house to get rare roast beef, fresh slices of emmental cheese and some sort of side salad along with fresh bread rolls for lunch. 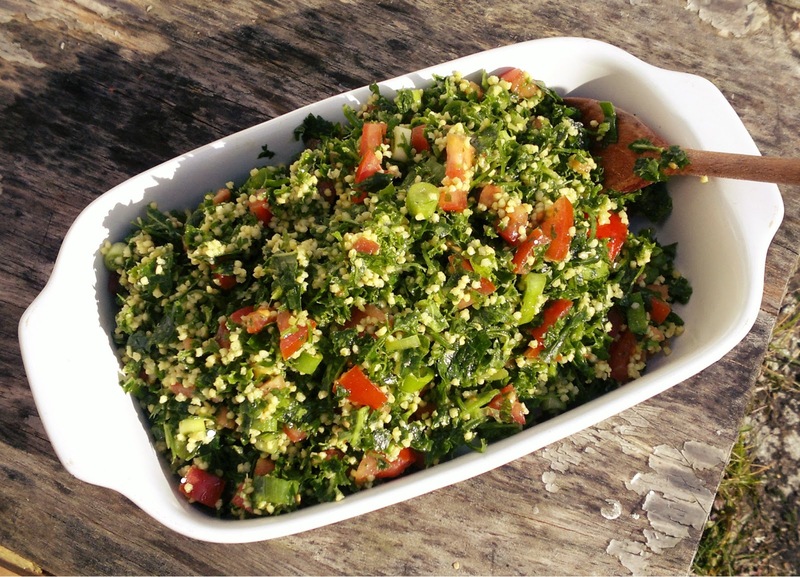 While most of the time my Dad would opt for a particular mushroom salad there were times when we would get tabbouleh and I remember it always looking so fresh in that deli. Millet. It's similar texture lends nicely to this salad and still keeps the dish gluten free. I decided to add in some kale as well. Mostly because other than green smoothies I don't enjoy raw kale. So I added it in the hope the bitterness would be masked by the other ingredients and it was! So if you are the same as me and don't really like raw kale this is a great to add way more of it into your diet. First prepare the millet. Place in a saucepan with one cup of water. Bring to the boil then reduce to a simmer and cover. It should take about 15 minutes for the water to be absorbed. When finished let stand for 5 minutes and then fluff with a fork. Allow to cool. While the millet is cooling mix together olive oil, lemon juice, garlic and salt in a small bowl. Add the chopped veg and parsley to a large bowl. Mix together with the millet. Serve immediately or let sit covered in the fridge. The longer you let it stand the more the flavours will come out! This post can be found over at Wellness Weekend. Sounds absolutely delicious! 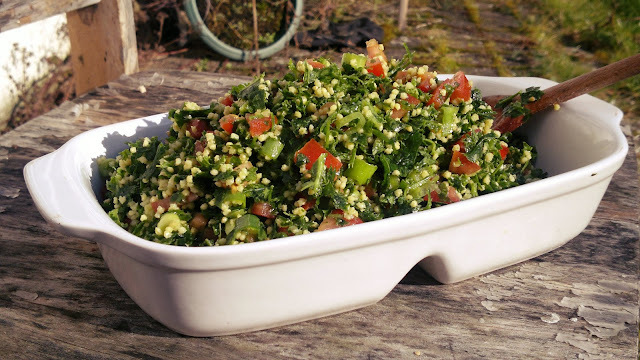 I've made tabbouleh with quinoa, but never millet. Great idea! Thank you, next to try for me is the quinoa version.